Le piege de Meduse (7 pieces pour piano) Composed 1913. Sports et divertissements Composed 1914. Choral inappetissant. La Balancoire. La Chasse. La Comedie Italienne. Le Reveil de la Mariee. Colin Maillard. La Peche. Le Yachting. Le Bain de Mer. Le Carnaval. Le Golf. La Pieuvre. Les courses. Les Quatre Coins. Le Picnic. Le Water Chute. bind this thick book is beyond me. You will spend a good amount of time trying to (literally) bend the binding to your will so pages do not turn on their own. However, this is a must have for any Satie fan. The benefits of owning this collection far outweigh the aforementioned issues. This is a gorgeous publication. This is a great collection of music! I am very disappointed that the binding and especially typsetting is so poor. 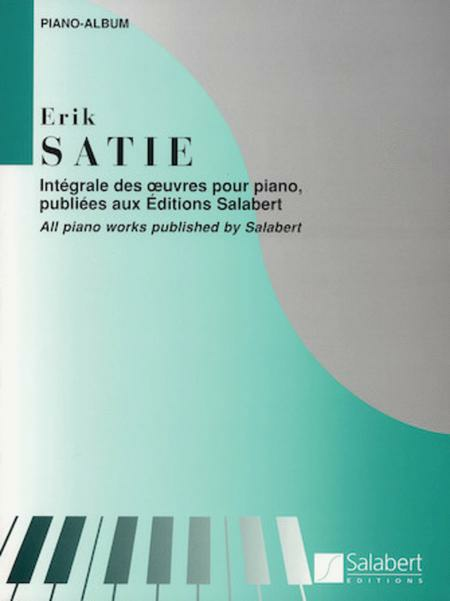 you want to study Satie's piano works, this makes an excellent edition. Most of his piano output is collected here in one volume and at a decent price. 32 of 56 people found this review helpful.